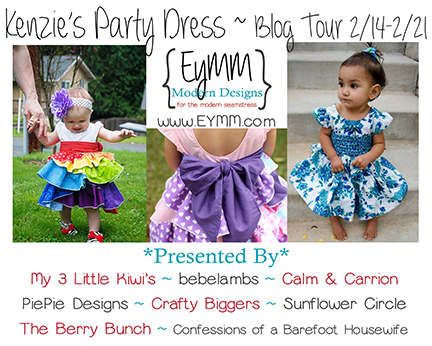 I am so excited to be a part of the Kenzie's Party Dress Blog Tour put on by Everything Your Mamma Made & More. 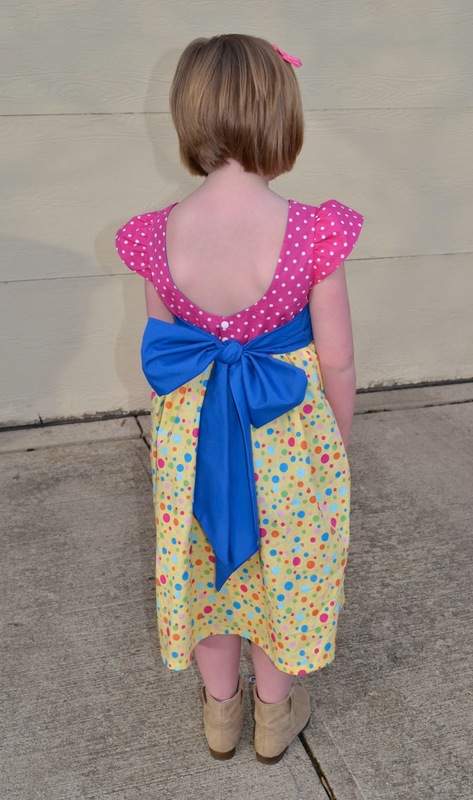 This dress is gorgeous in any version that you make and so versatile. It is available in two size groups NB-4t and 5-18. OR you can purchase it all in one bundle at an awesome discount. It can be made as the "Signature style" with all the flounces. Or as a simple dress, which makes a perfect fancy party dress. It has Cap sleeves or the sleeveless option. I was part of the original testing for this pattern and I have been in love with this pattern ever since. Below is my very first Kenzie. You can read my full review of the pattern here. This time around I wanted to make a sister set for Spring. 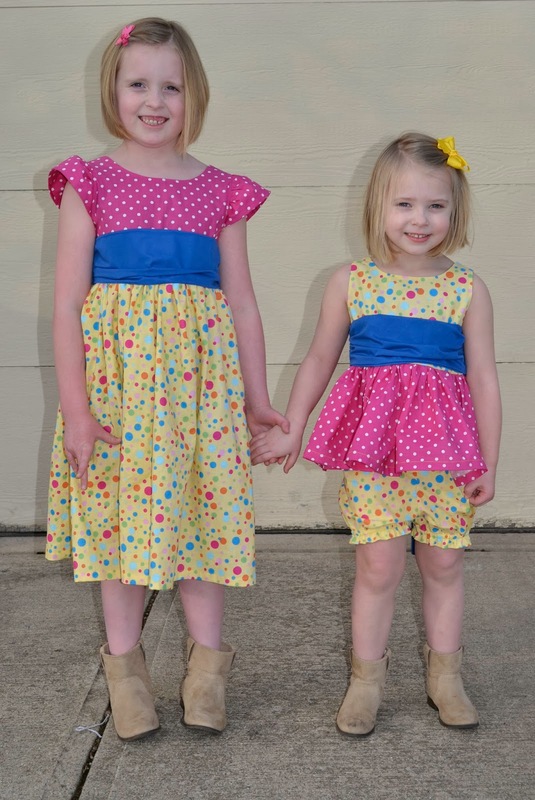 I can just picture my girls hunting for Easter eggs in these outfits. 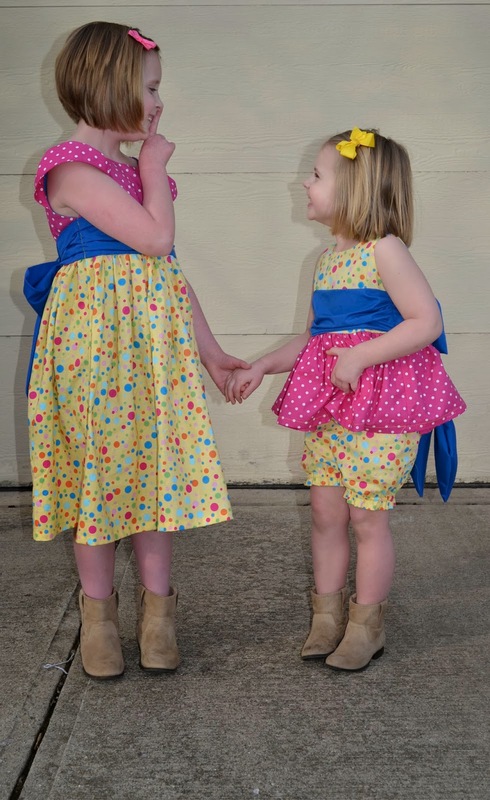 I know, I know some of you will see matching outfits as silly or even ridiculous, but I just love them and my girls (ages 4 and almost 7) request them. 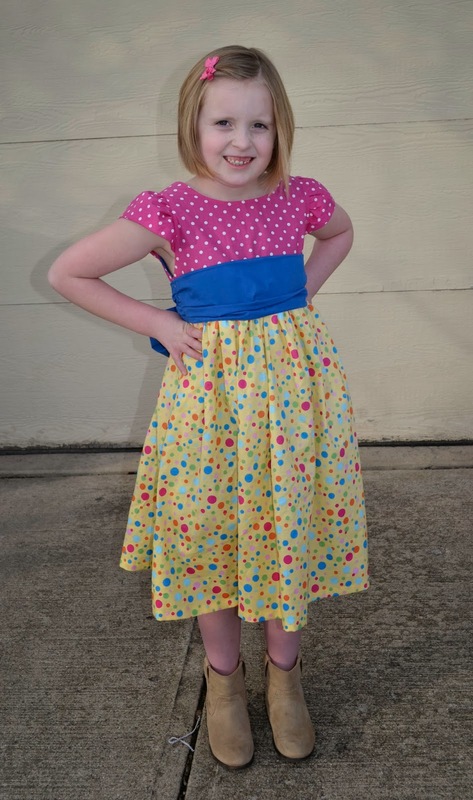 She is almost 7, very tall for her age and wears ready to wear 9/10/ This is the size 10 on her and she has enough room that it will still fit her through the summer but it's not baggy. My youngest, Abby is the complete opposite. She loves attention and extra cutsie outfits. 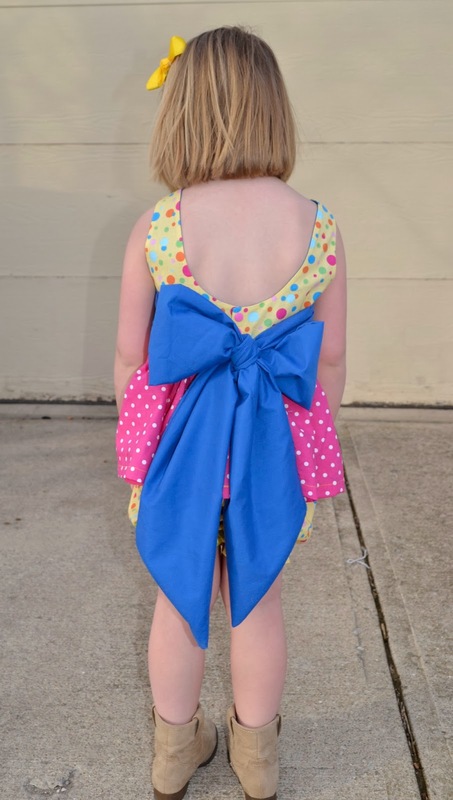 For her outfit I made the sleeveless dress as is and just cut the skirt part at half of the length listed in the instructions. It makes for a super cute, extra full top. 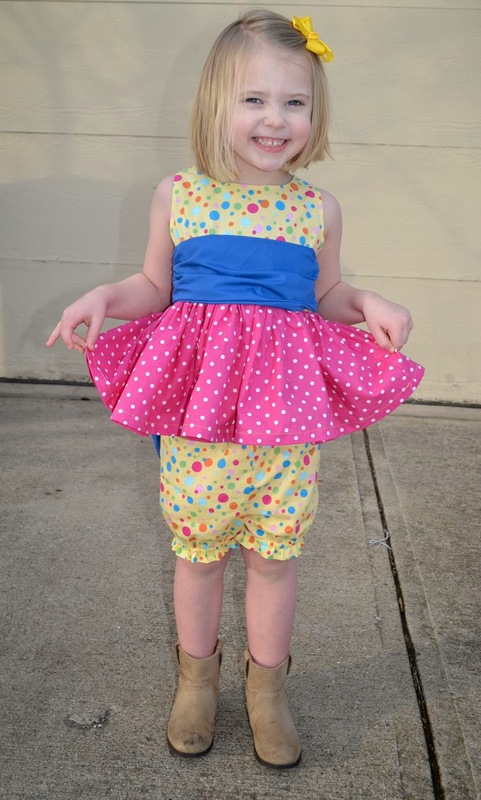 The shorts are actually bloomers that are part of the Shortie Nightgown by GYCT that releases tomorrow. Abby just turned 4 and is tall for her age as well. She wears ready to wear 5/6. 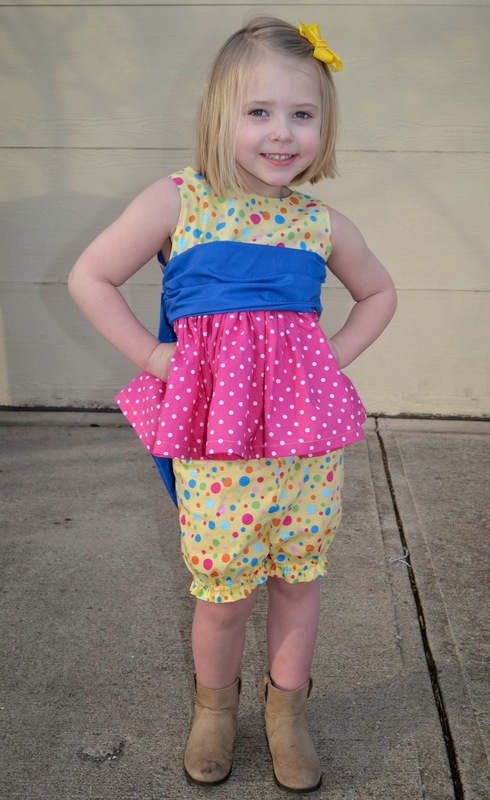 I made her the size 6 to make sure it fits her through the summer as well. She's growing so fast these days. We will definitely have more of these 'tops' in our summer wardrobe. So cute! 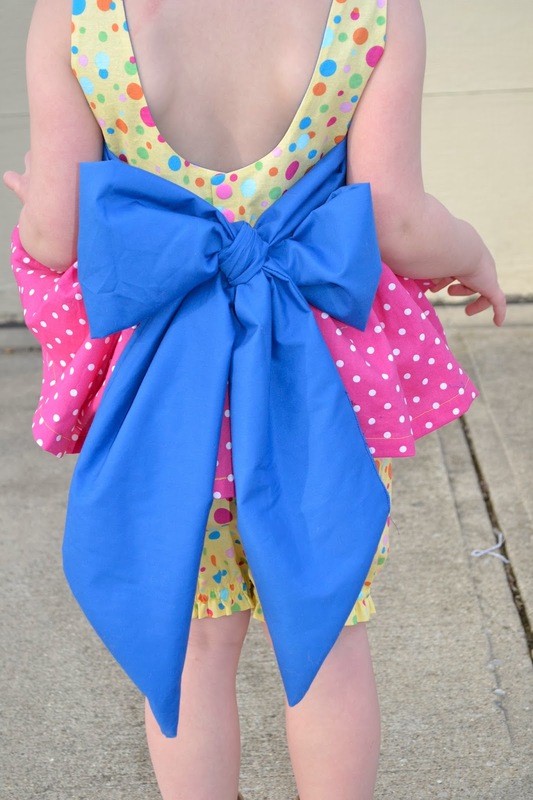 I thought about downsizing the bow but I just loved how sweet the over sized bow looks in the back. 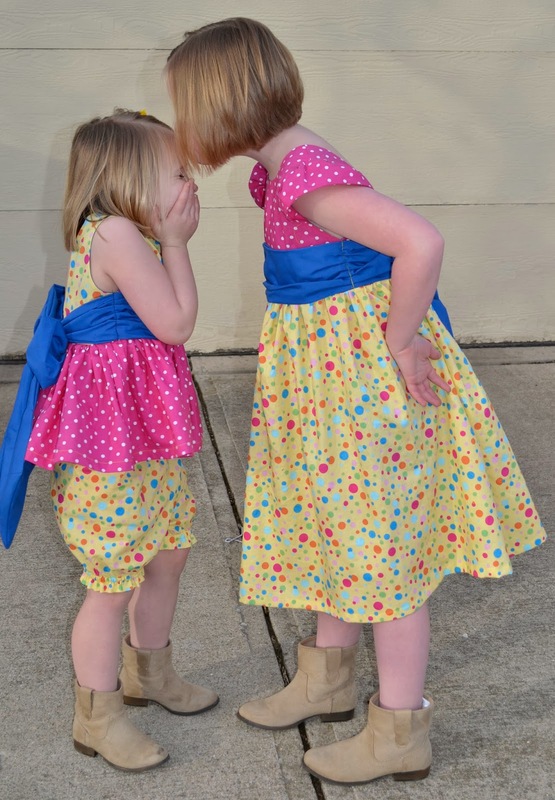 I love the candid shots of sisters when they aren't paying attention to what's going on around them. My girls just got American Girl dolls for Christmas. I can't wait to get the Doll Add-On and making 'Mommy and Me' matching outfits. Tomorrow's stop is at The Berry Bunch. Stop by and check it out. 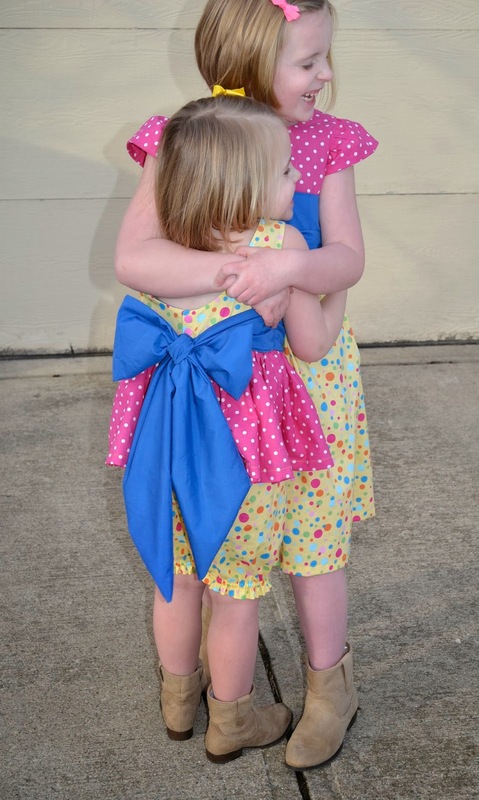 Love them Erin!! I'm definitely trying your bow-tying trick! WOW! 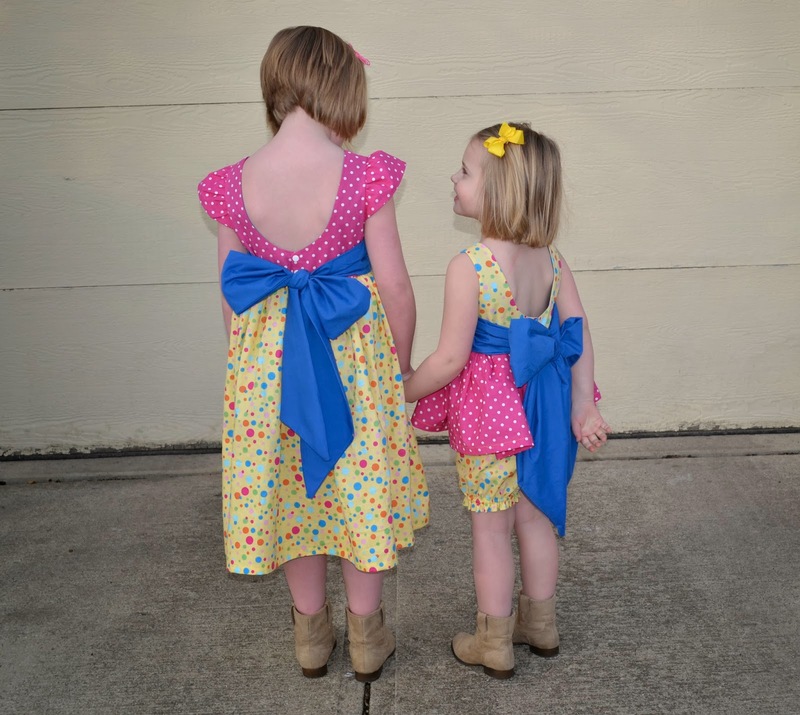 Your girls look just as adorable from the front as they do from the back. You are one talented lady. And, I am still loving their hair cuts!